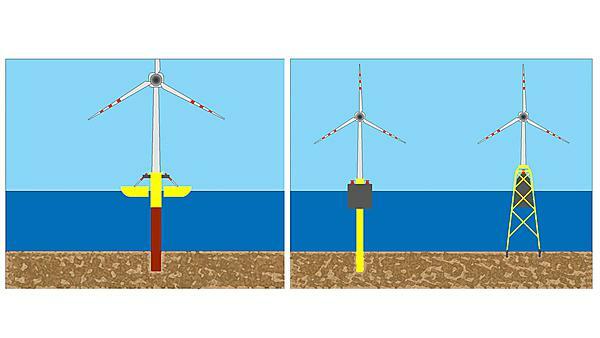 In the proposed PhD thesis, after reviewing the state of the art of wave and current conversion technologies, their integration possibilities in offshore wind farms will be analyzed. Finally will be done a design of an hybrid energy converter OWC ‑ offshore wind turbine. The main goals of the project are to carry out a revision of the state of the art of the sea energy exploitation systems and to analyze the possibilities of integration of these systems in offshore wind generators, with special reference to the Galician sea climate. Particular attention will be paid to the anchorage systems of the wind generators and the relation between these and the sea energy converters. After caring this analysis, it will be done a design of an hybrid energy converter OWC ‑ offshore wind turbine in order to accomplish this design different designs would be consider and could be studied using, or physical modelling on a wave flume, or numerical modelling on a CFD program. Finally it could be obtained different solutions that would allow to describe at a theoretical way this hybrid device.